The final light of day shown on the great watchman mountain, highlighting its dramatic power over the landscape! The Watchman is a fitting name for this mountain. It stands prominently at the gate of the parks main entrance – like a protecting force, welcoming in all visitors. 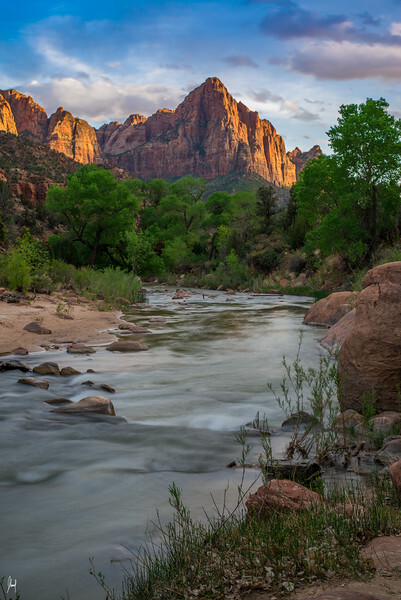 The powerful Virgin River flows through Zion canyon and past the foot of the watchman, and acts as a strong foreground for the image. This is a prime spot for photography and it is directly off the road near the parks entrance. Don't miss this amazing shooting location!